Multi-Dimensional Maturity (MDM) and Quality Management as a Service (QMaaS) join forces. 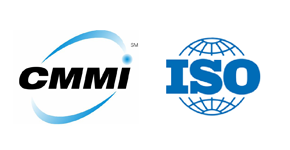 MDM and QMaaS have formed a partnership to offer our clients the best of both worlds, CMMI® (Capability Maturity Model Integration) and ISO® (International Organization for Standardization). Dr. Richard Waina, founder of MDM, is a highly experienced CMMI Lead Appraiser, Instructor and consultant. Mr. Tim Gollner. President of QMaaS, is a certified ISO auditor with broad experience in successful quality management system implementations. Together we can provide a client with “one stop shopping” for CMMI process improvement/appraisal and ISO certification services. For more information go to http://www.mdmaturity.com or http://www.qmaasllc.com.